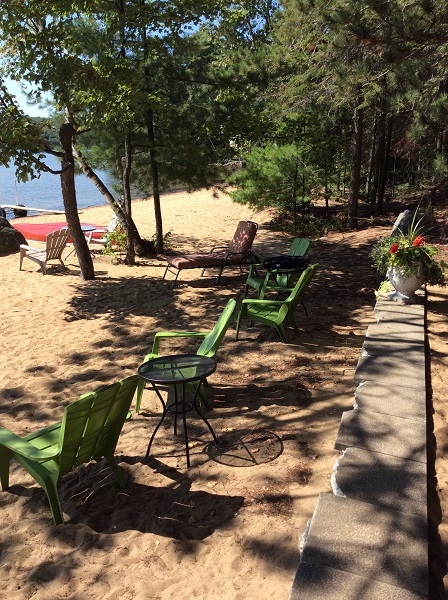 "You won't want to leave..."
Our cottage is located in a quiet, sand-washed bay on beautiful Papineau Lake. 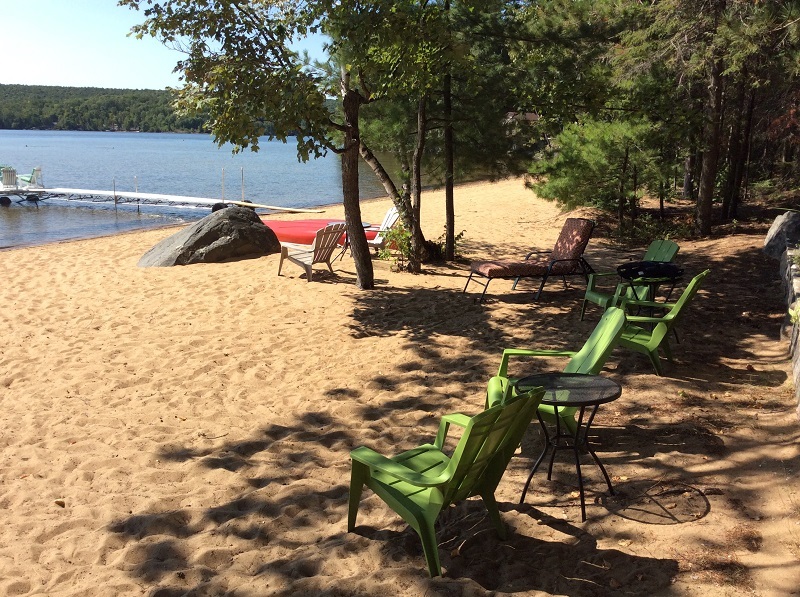 Over 200 feet of expansive sandy shoreline, lapping waves and towering red and white pines provide the perfect, peaceful and private backdrop for family fun. 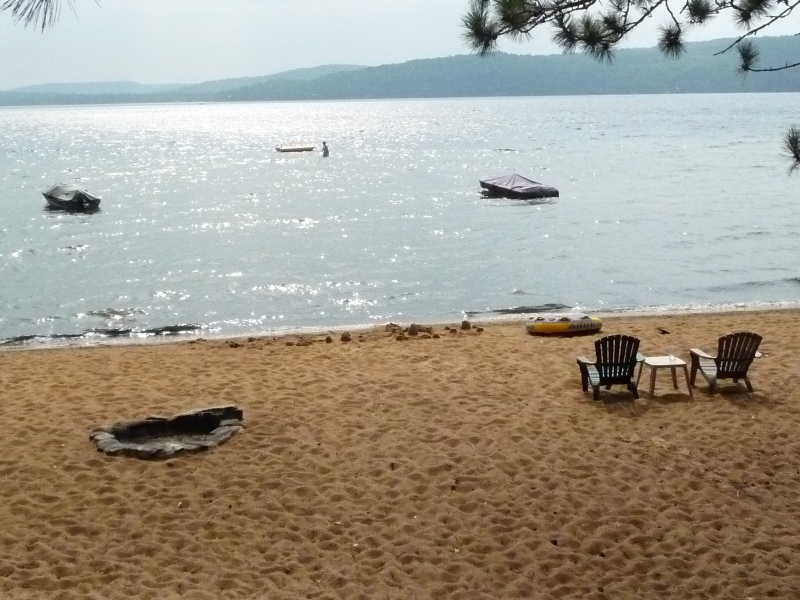 The natural, fine-grain sand beach and gentle waterfront will quickly become the focal point of your vacation. 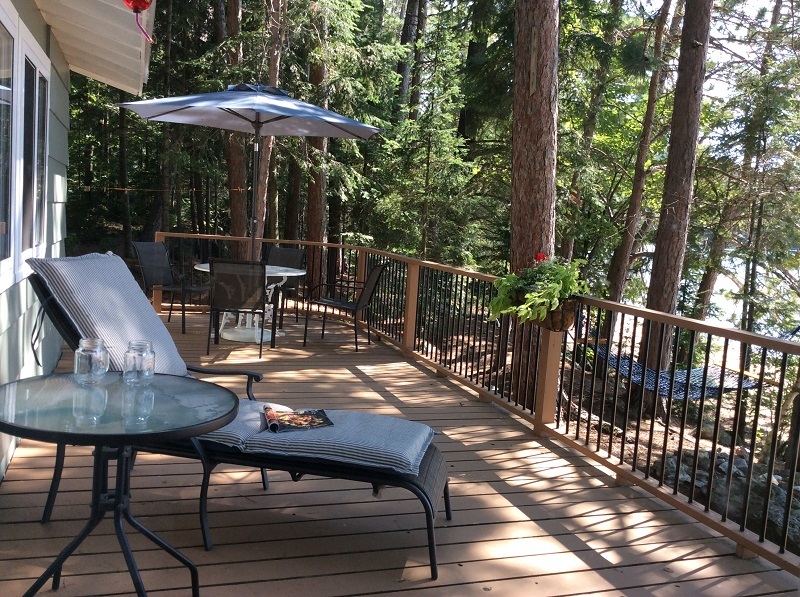 Savour your morning coffee as the mist lifts from the lake, and watch as the sun creeps from the east to shine on this south-facing piece of paradise. 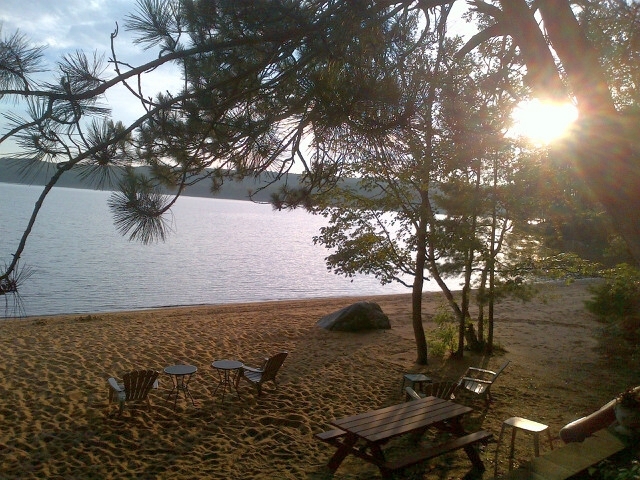 Enjoy lazy afternoons of picnic lunches and sun-bathing, and splash in the warm shallows of the sand-bottomed lake. 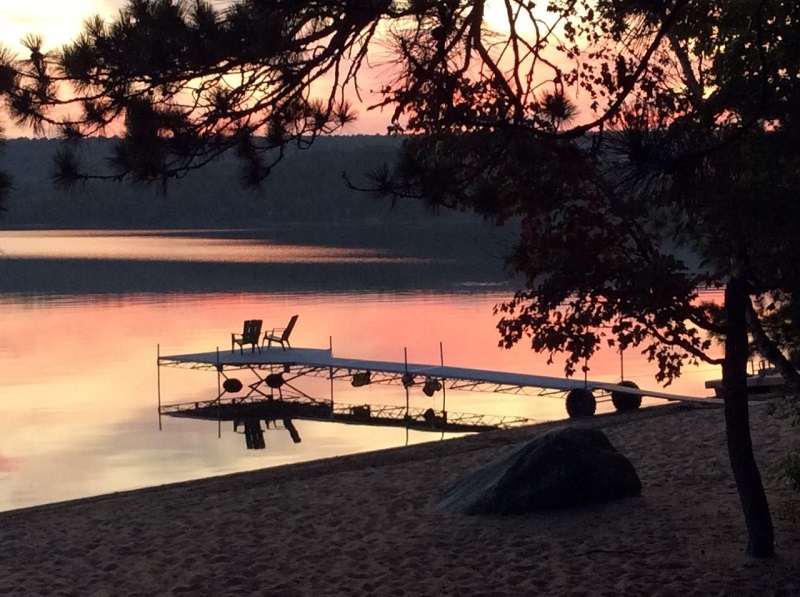 Read a book in the hammock, or pull a Muskoka chair into the water and paddle your toes while you enjoy a cocktail, watching the sun set behind the hills. After dark, the stone-lined fire pit that’s dug into the beach is the perfect setting to admire the myriad of constellations across the vivid milky way as it pours its way across the pitch black sky. 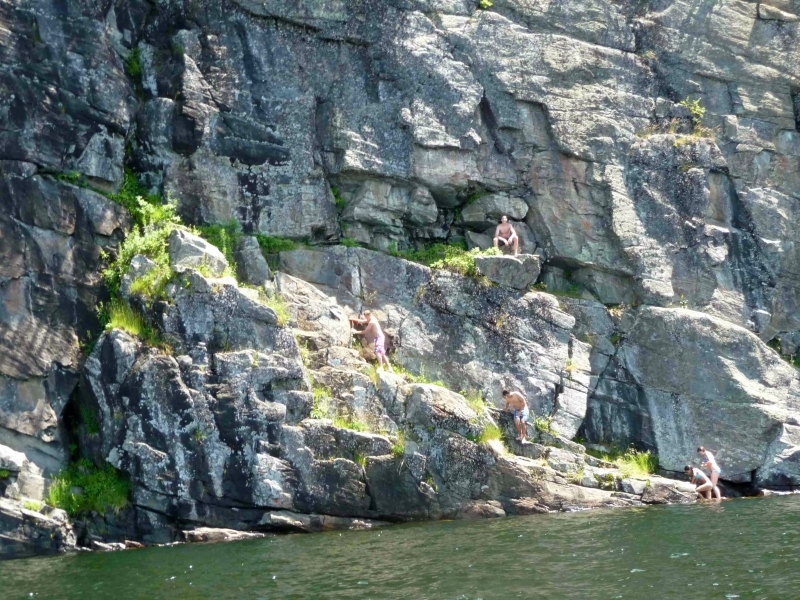 If you yearn for adventure try the hiking trails, lookouts, cliff jumping, fishing and exploring the lake. 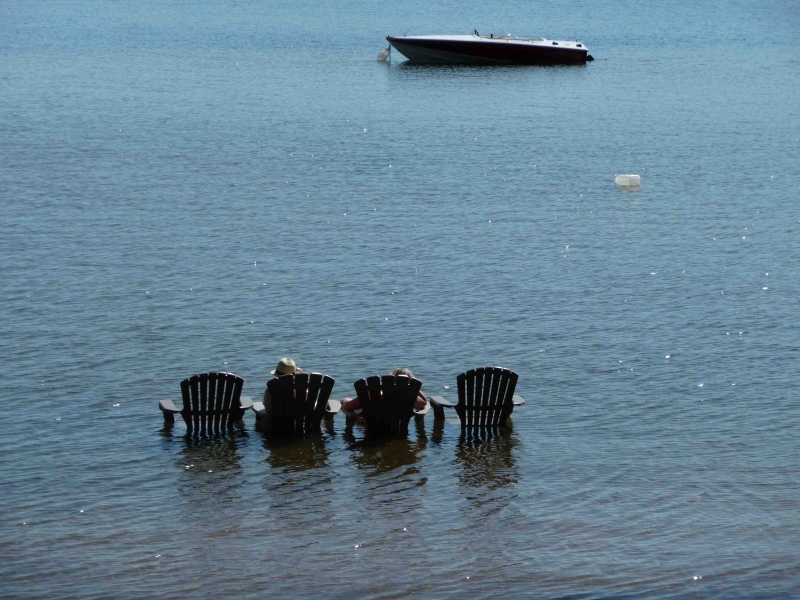 You are welcome to bring any size of motorized watercraft and use the mooring 50 feet offshore. 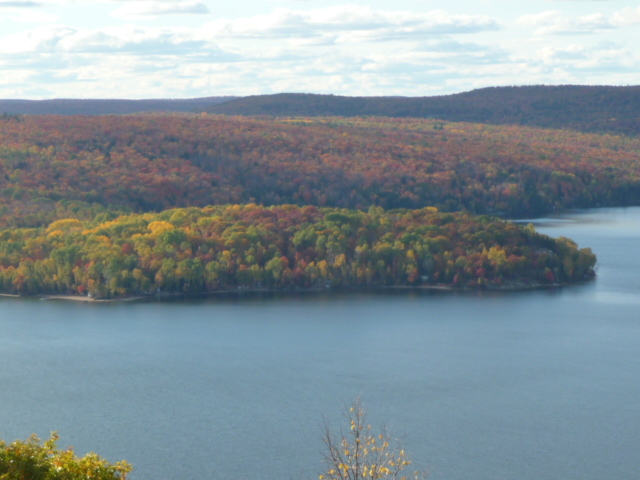 (There are 2 boat launches on the lake). 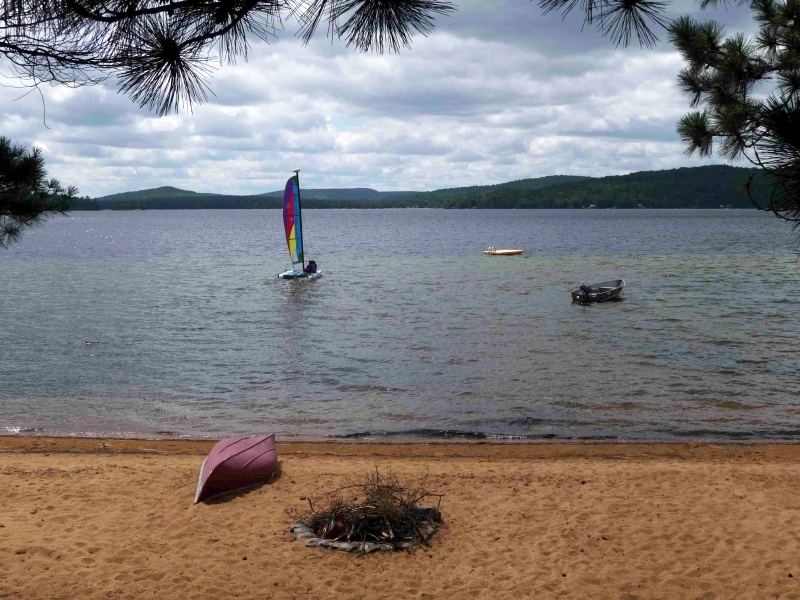 A canoe and a row boat are on hand for your use (personal floatation devices are required and not included). 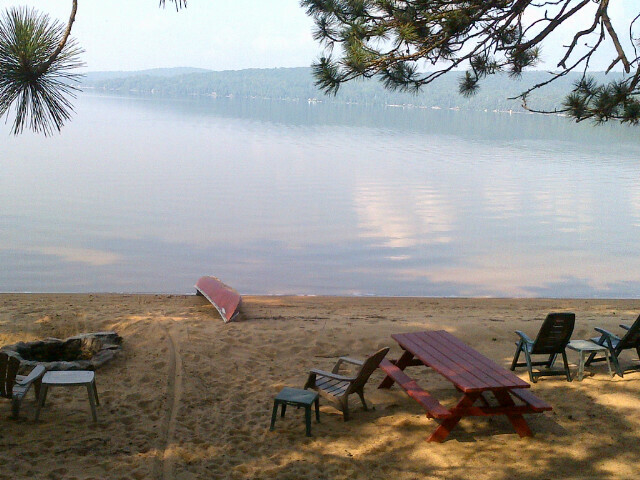 There is also a raft, positioned at the drop line, for swimming, diving, and sun bathing. 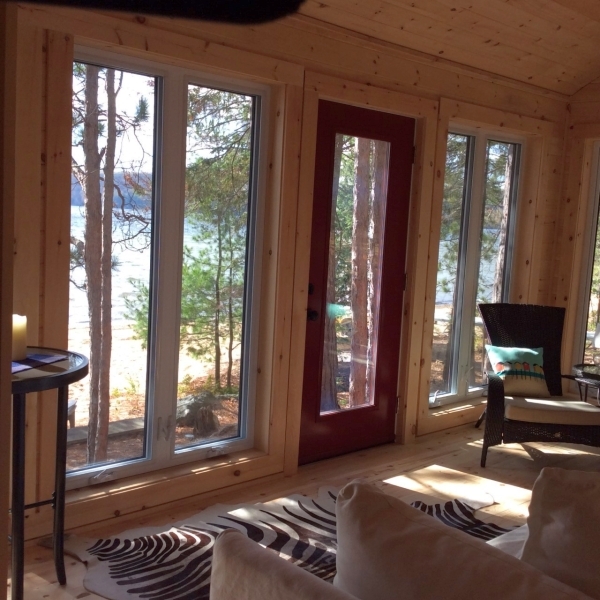 The cottage is a classic, casual, three-season get-away with all the conveniences. 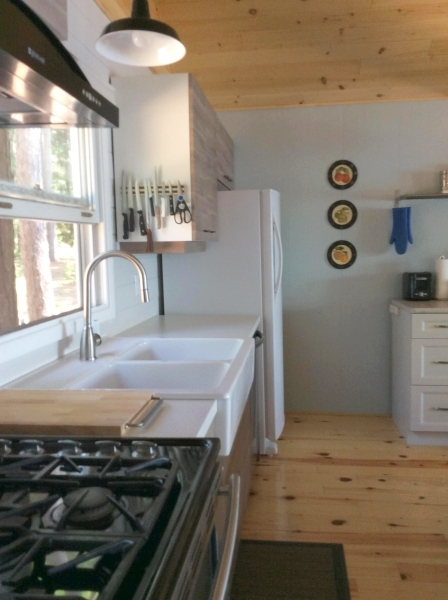 The kitchen is fully equipped for most chefs with a propane gas top stove, electric warming oven plus full oven; 17 cu. 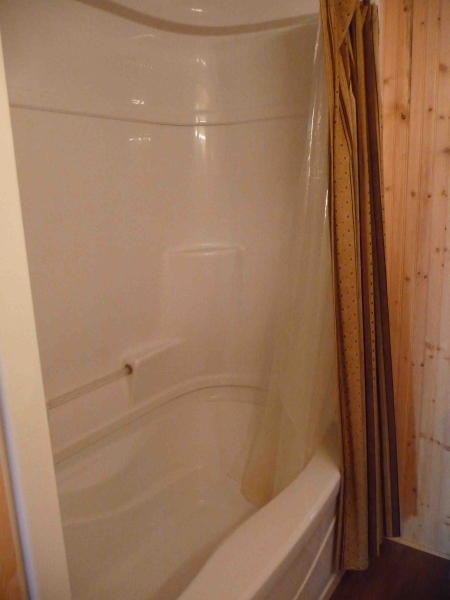 ft. all fridge alongside a separate front loading freezer, microwave, panini grill, coffee maker, popcorn maker, and a dishwasher. 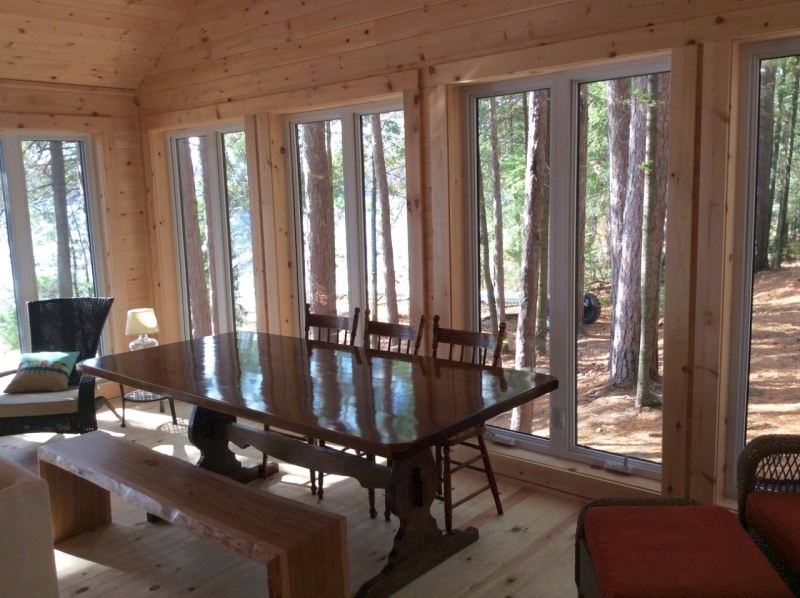 The eating area has a large harvest pine table that seats eight and is open to the great room with windows overlooking the lake. 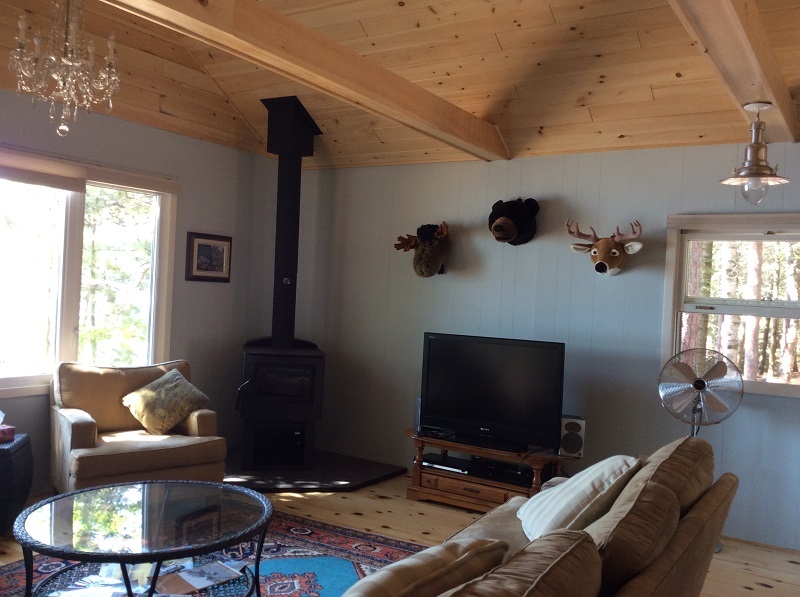 This large, high ceiling room has new red pine floors, freshly painted walls, updated furniture and a large ceiling fan. 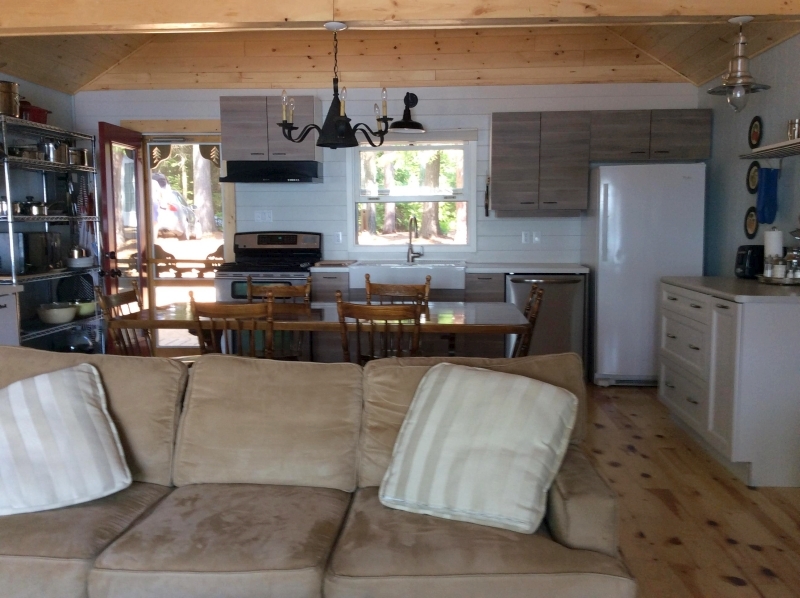 There is a big screen TV and a DVD player for entertainment, and cell service from both Bell and Rogers is readily available for you to tether your cell to your PC for internet connection. 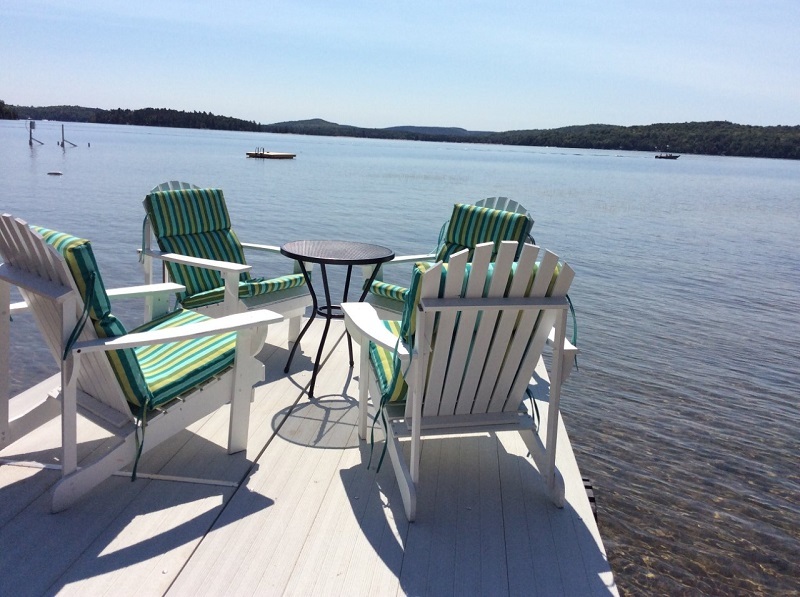 Step out of the great room onto a large wrap-around deck with a wrought iron dining table and chair set with umbrella, as well as lounge chairs overlooking the lake. 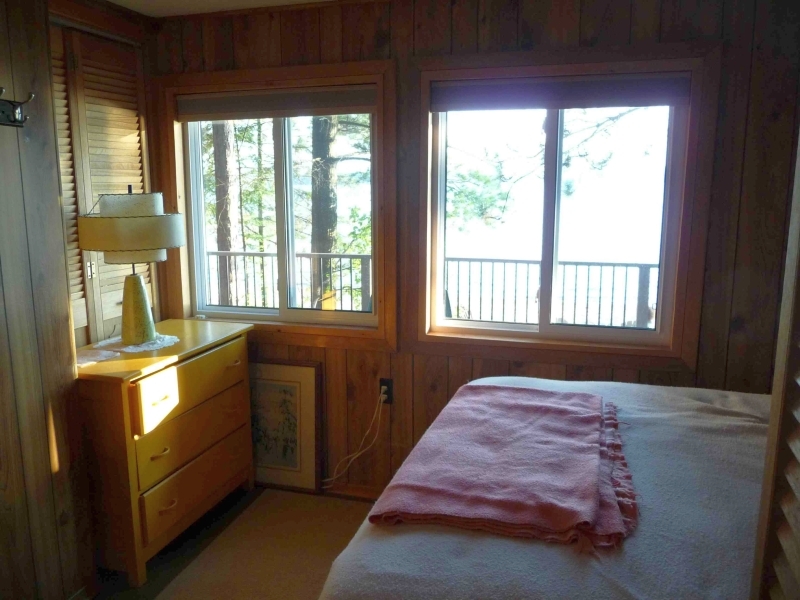 There are four bedrooms: the master bedroom has a queen sized bed and overlooks the lake. 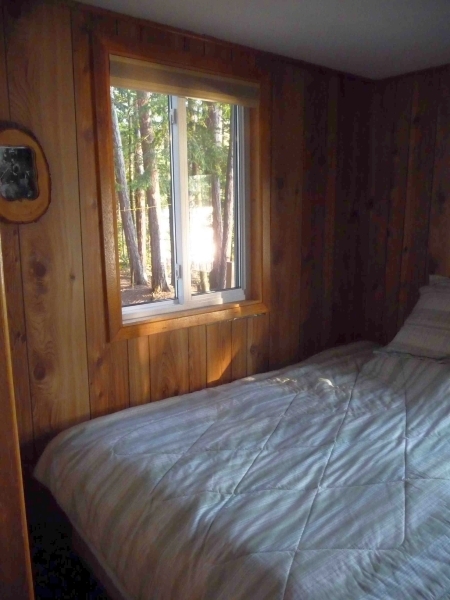 The guest bedroom has a double bed and overlooks the lake to the front and the woods to the side. 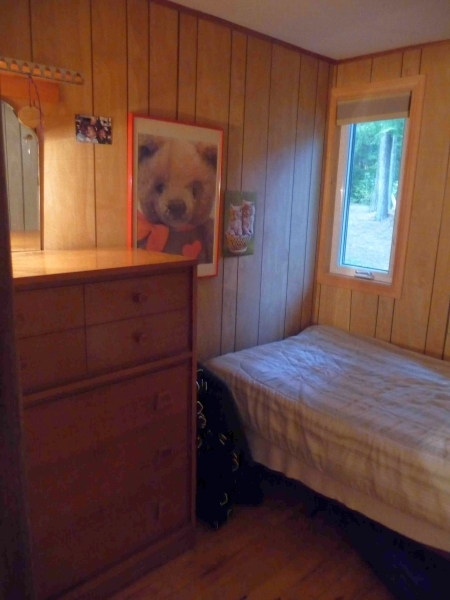 The third bedroom has a double bed and the fourth bedroom has two single bunk beds, ideal for children. 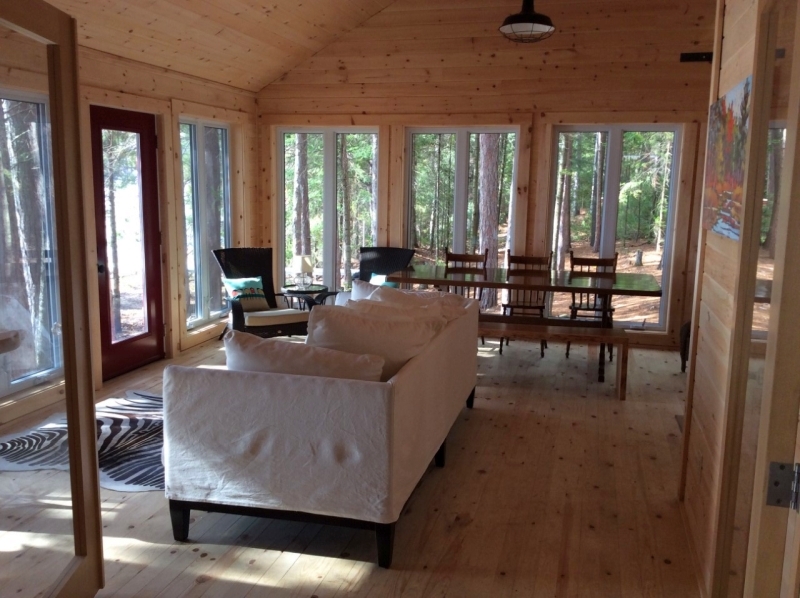 The bedroom area is heated by a thermostat controlled propane furnace. 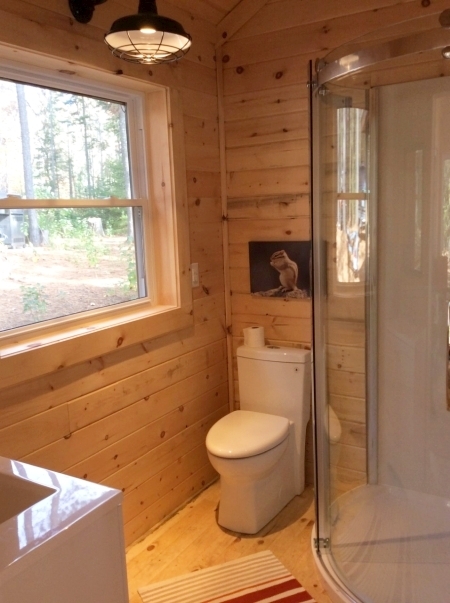 There is a full modern bathroom with bath and shower. 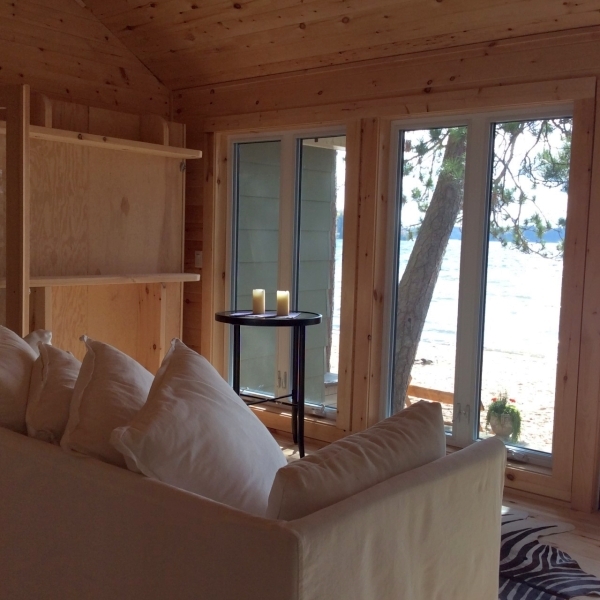 In the recently constructed sun room there is a second 3-piece bathroom and a Queen size pull-down murphy bed. 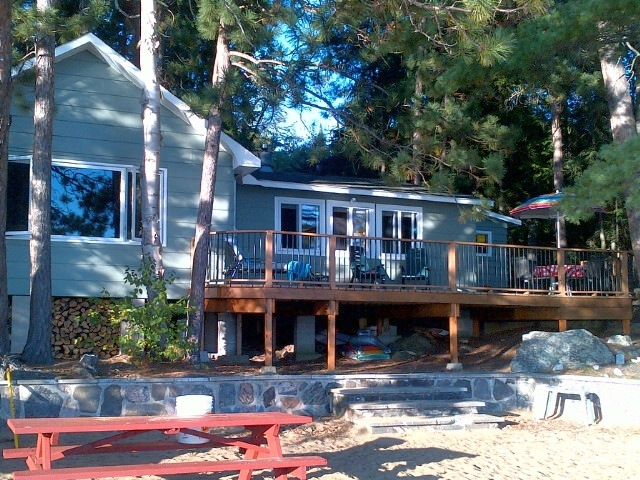 The cottage is accessible by circular driveway from Papineau Lake Road. There is plenty of parking. 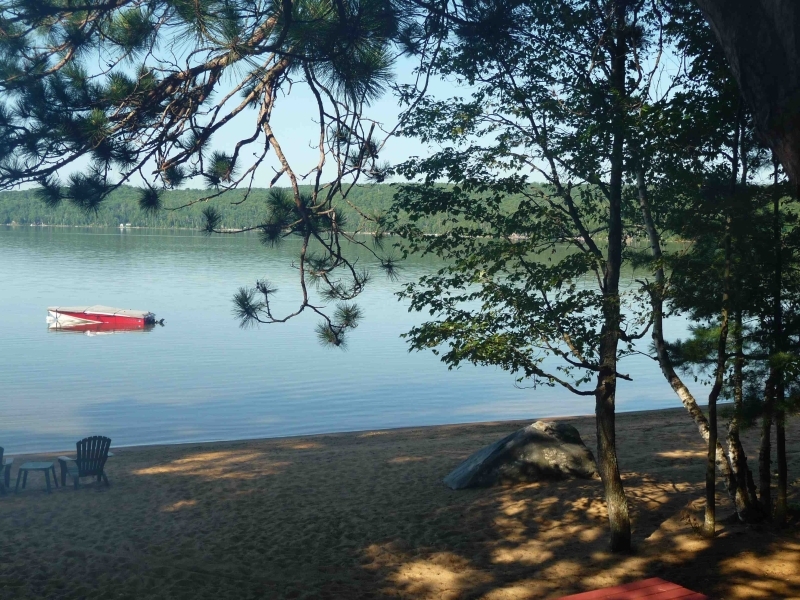 The lot is quite level with a gentle slope to the lake, making it accessible to children and adults of all ages. 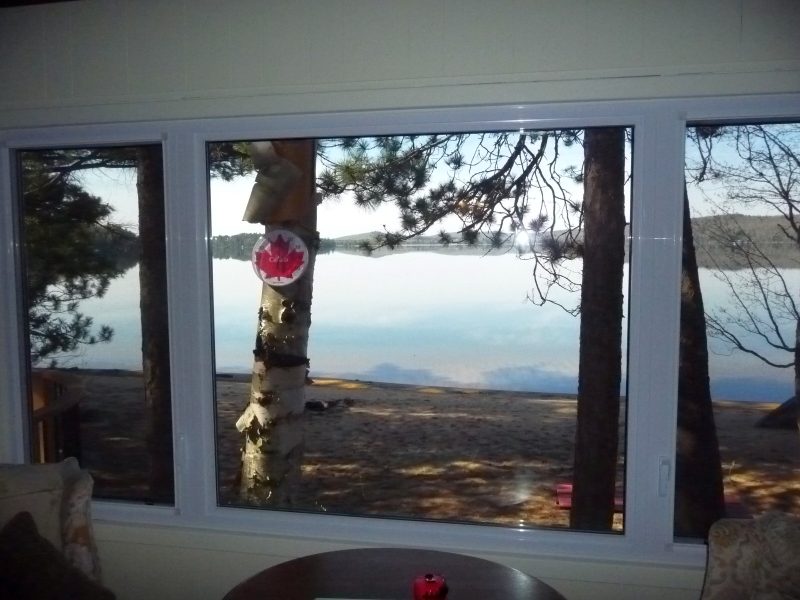 Our neighbours are the second and third generation of families who came to Papineau in the 1940s. 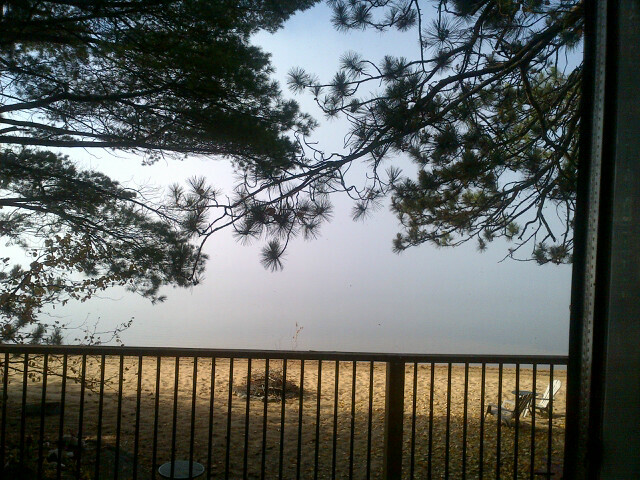 They are quiet and respectful of the environment and of other cottagers. 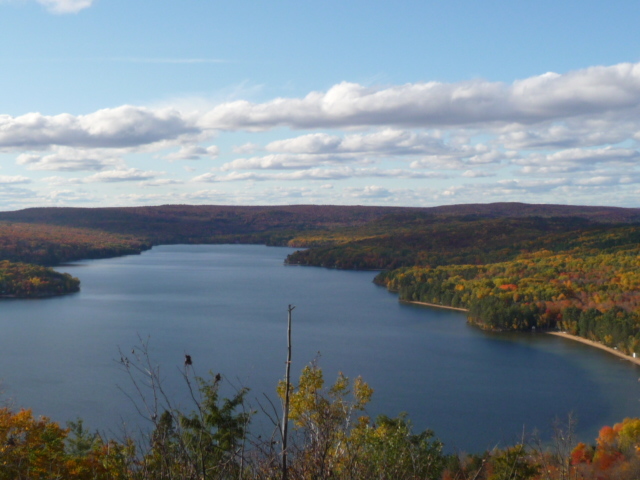 Papineau Lake is an uncrowded, pristine, deep, spring fed lake surrounded by the granite hillsides of the Hastings Highlands. 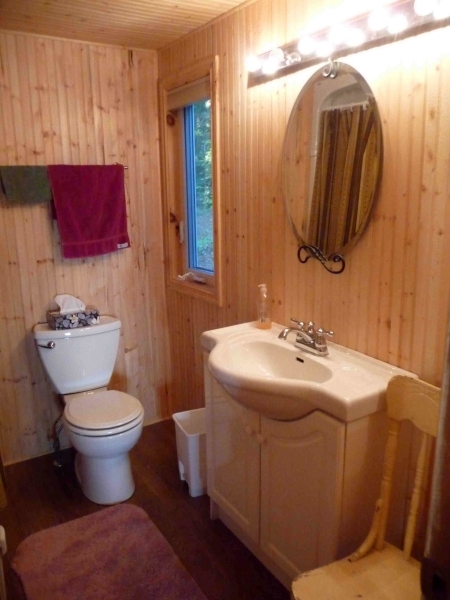 It’s easily accessible from Highway 62 (via Bancroft) and Highway 60 (via Barry’s Bay). 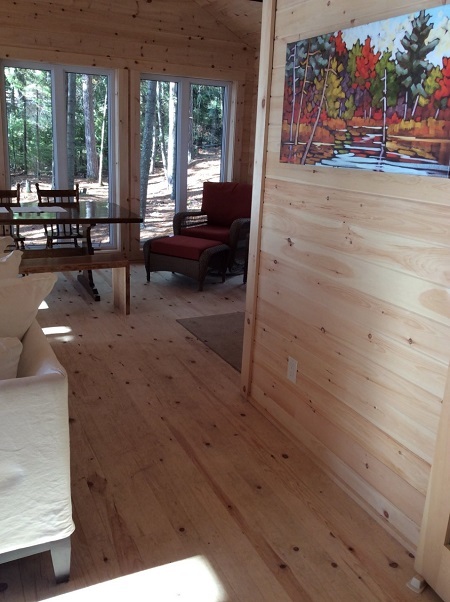 Local attractions include Combermere and the Madawaska River, about 10 km from our door. 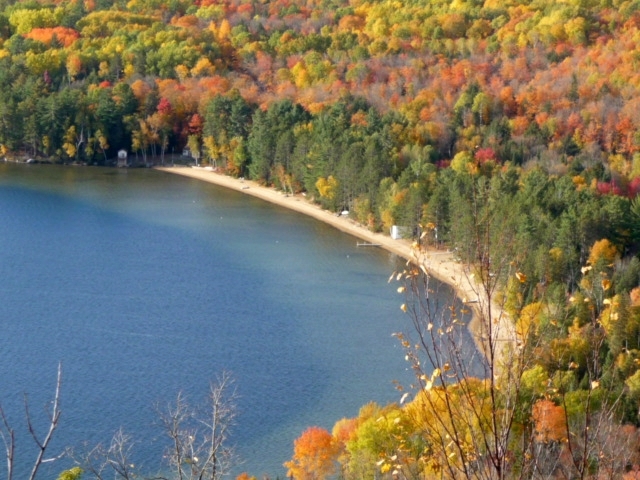 Combermere is noted for having the oldest, continuously running general store in Ontario. It’s a great place to pick up the paper, milk, bread and other needed supplies, and serves up the most generous-sized ice cream cones in the county. 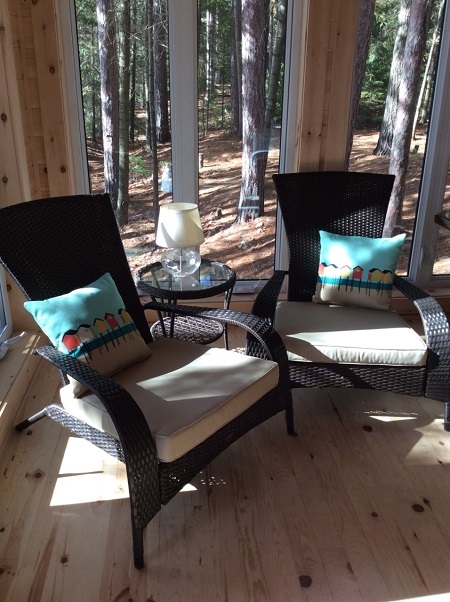 Barry’s Bay is 20 minutes away and offers golf, two large grocery stores, drug store, LCBO, gas station, restaurants, farmer’s market, hardware and outdoor recreation stores, movie rental and laundry facilities. Wilno is home to Canada’s first Polish settlement and features a charming museum of local history and a very popular tavern serving up a delicious Polish buffet. 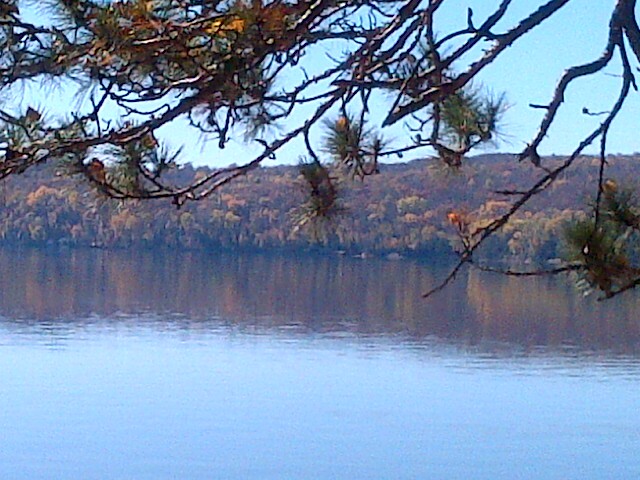 Algonquin Park is a wonderful day trip through the East Gate in Whitney. 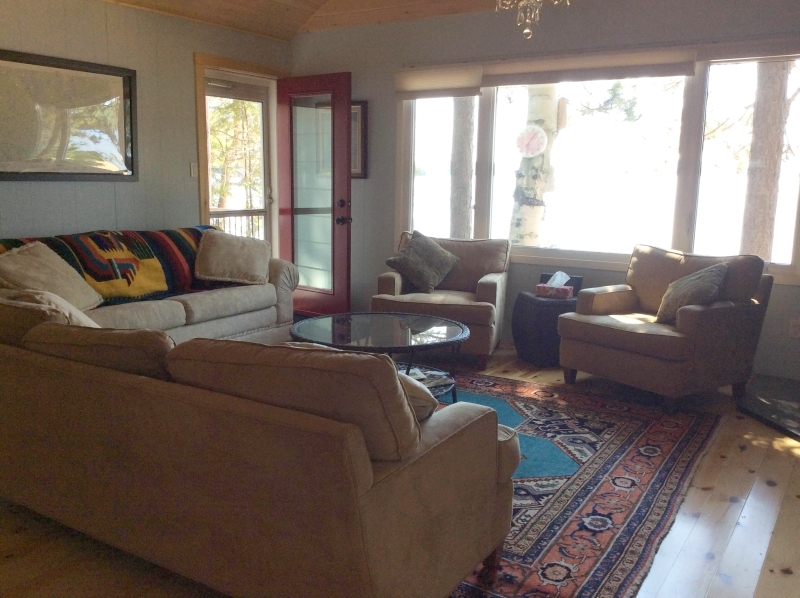 Come, relax, enjoy, make lasting family memories and experience why we say ‘you won’t want to leave’! 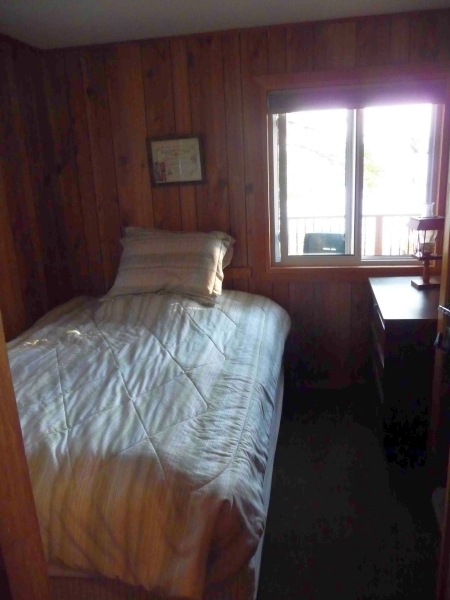 I wanted to email you with regards to the lake papineau cottage that we recently rented. 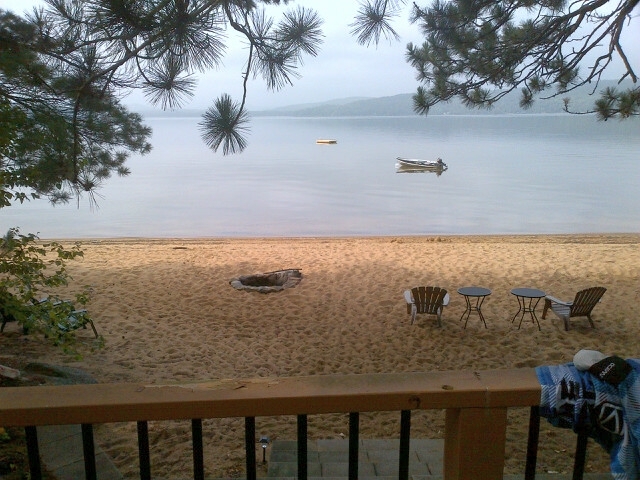 We thoroughly enjoyed our vacation and the amenities provided by the cottage, it was amazing...our kids loved it. 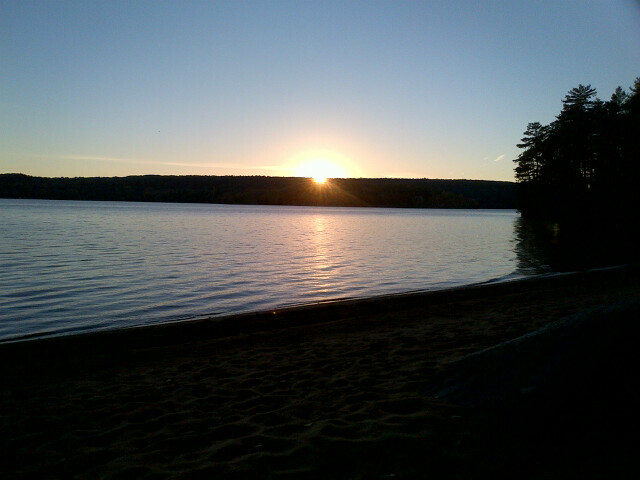 We just had a wonderful week at the papineau lake cottage. 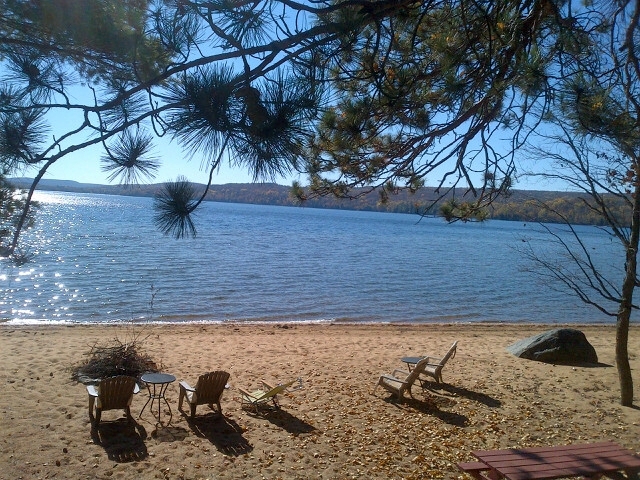 The weather was perfect and the beach was amazing for the kids. We truly did enjoy our stay. 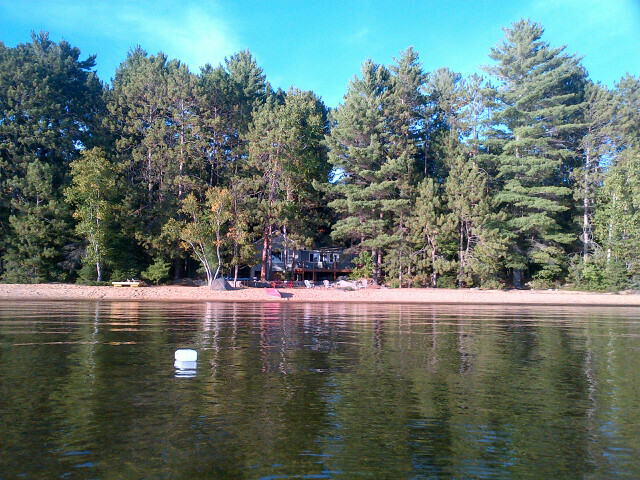 The cottage and property were beautiful. There was some sun and my daughter and I made a few sand castles and we enjoyed some nice walks. 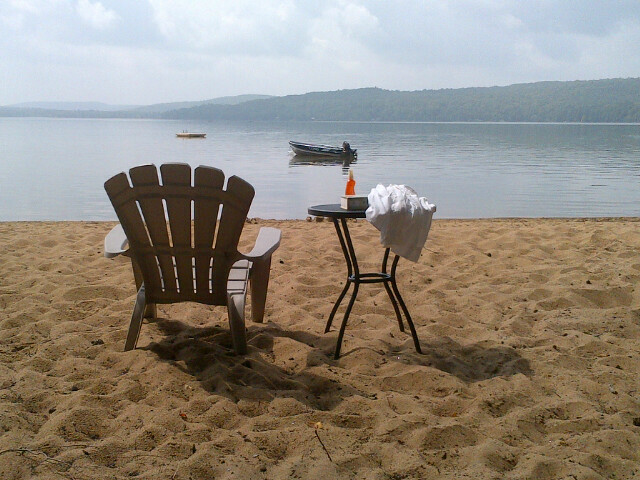 It felt like we had the whole lake to ourselves. 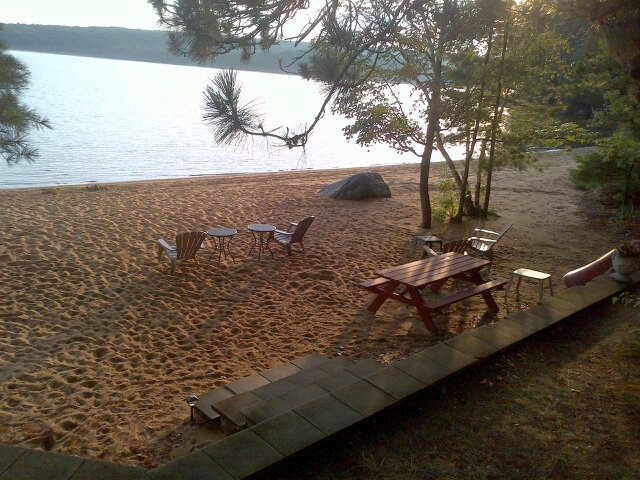 Immediate availability for Papineau Lake Sun ‘n Sand. 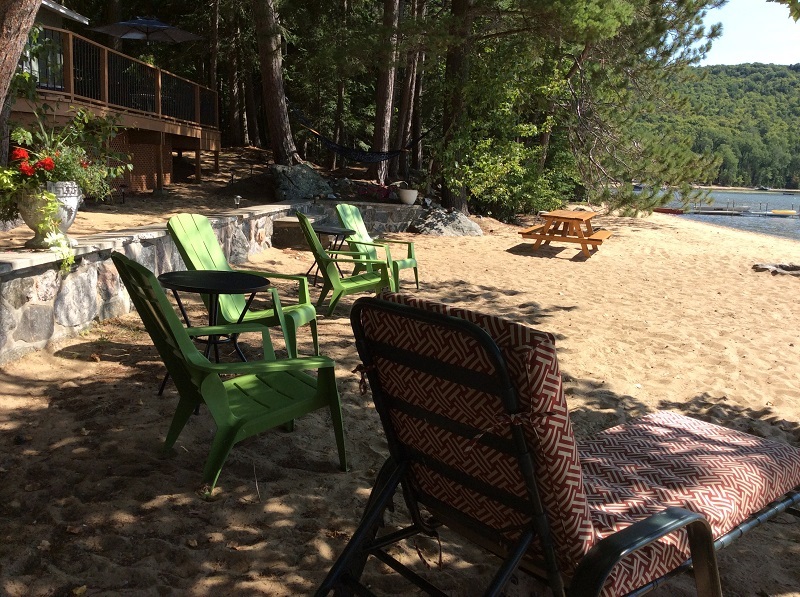 For later dates, please see the full Papineau Lake Sun ‘n Sand Availability Calendar.